What a gorgeous playground! Firstly, it’s HUGE, and has so many zones, so kids of all ages will love it here. At the front is the fenced playground for the little toddlers, then as you wander along the lawn and pathway you hit the BBQ’s and shelters that were full of kids parties when Mamma visited. Beyond this ‘party’ area you will find another playground for mid-aged kids with a slide and lots of places to climb and swing, and more BBQ’s. Just outside of the designated play space, Mamma’s kids love the rocks and ‘dragon’ log - so good to climb and ride on! 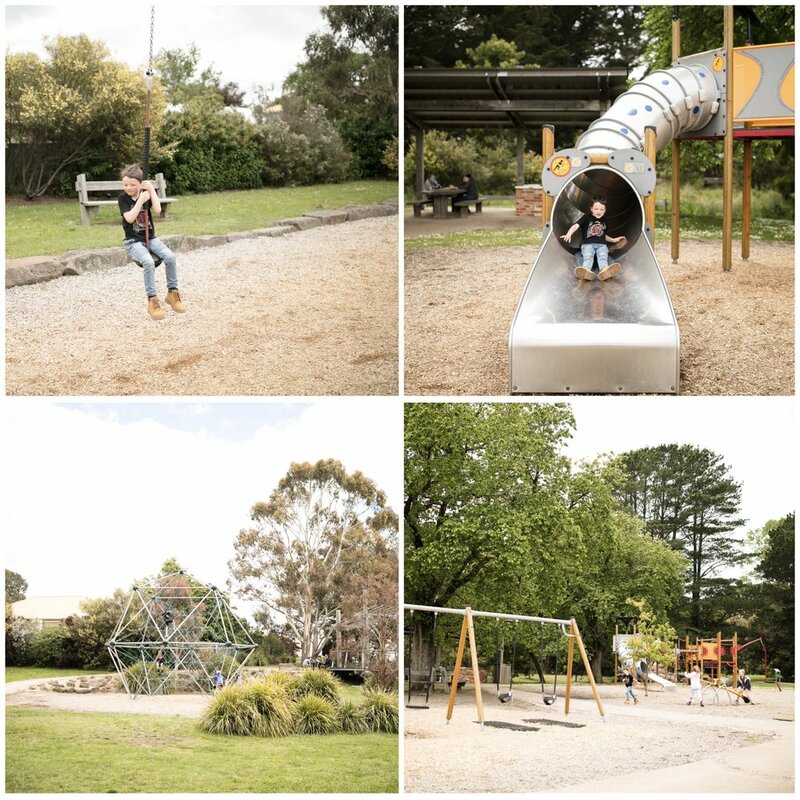 Further around the park you will find a huge spider web to climb and flying fox and even a stage! Mamma says you must visit here on your next road trip! 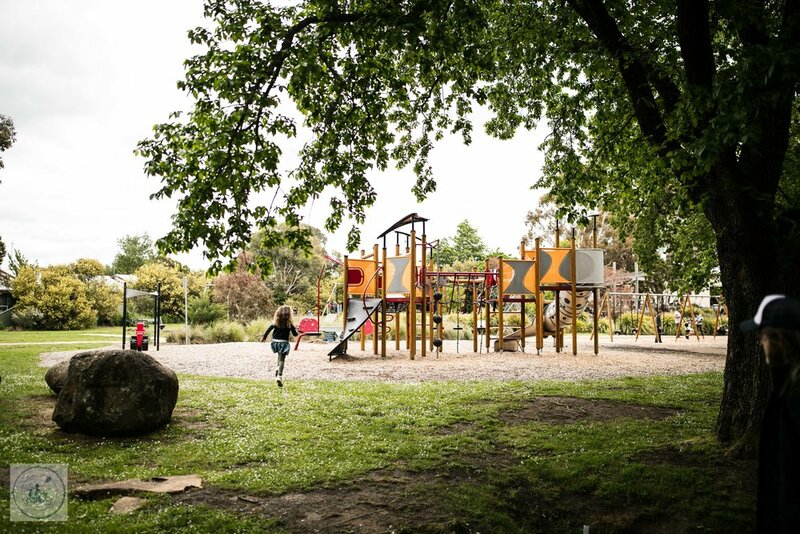 This park was created by the community of Woodend 10 years ago in memory of a brave little local boy called Robbie Lodder. The community got together and raised funds, volunteered their time and worked hard to create this wonderful space. What a great community. Mamma’s special mention: After a good play head to Bourkies Bakehouse for a pie and vanilla slice!